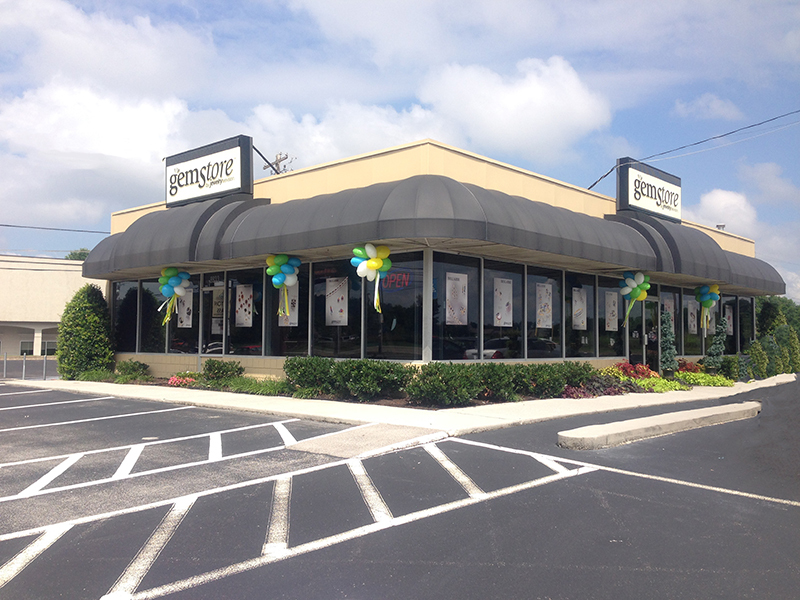 ​​Knoxville’s premier jewelry boutique, the Gemstore, located at 9933 Kingston Pike, is Jewelry Television’s only stand-alone retail shop in the country, featuring an array of jewelry and other treasure trove pieces, which are targeted to a broad-based clientele. To learn more about the store and its successes, GemScene caught up with Alice Rotar, its manager, who lifts the veil on the ten-year old boutique. Q: The Gemstore has a very open and airy atmosphere. What types of jewelry is sold there? Alice Rotar: We sell a wide range, including fine gold jewelry set with tanzanite, morganite, spessartite, tsavorite, labradorite, Madeira citrine, emerald, ruby, diamonds, among other gems, as well as silver pieces and designer fashion jewelry, along with some watches and accessories. While most of the products are featured on Jewelry Television, we also carry a number of branded lines that do not appear on JTV. Q: When did you become manager and how many employees does the Gemstore have? AR: I joined four years ago as manager, and kept the entire team on. Since then, we have added more members. We are Team Gemstore, and part of the bigger Jewelry Television family. The team all shares the same goals. Q: How would you describe these goals? ​AR: The entire team shares the same vision and ideals about the jewelry industry. Our top priority is getting to know, understand and satisfy every shopper. Customer service is of paramount importance. We strive to work closely and personally with each and every customer. Every shopper, no matter how much or little they may spend, is always special. We listen to them. We cater to them. Of course, this excellence in customer service depends upon our product knowledge and our keeping abreast of the latest trends in gems and jewelry. As such, we are constantly learning and honing our skills in the aim of bettering our services and products. Q: In practical terms what does this mean? AR: We regularly attend training seminars. We also undergo in-depth learning by speaking with JTV experts and show hosts. 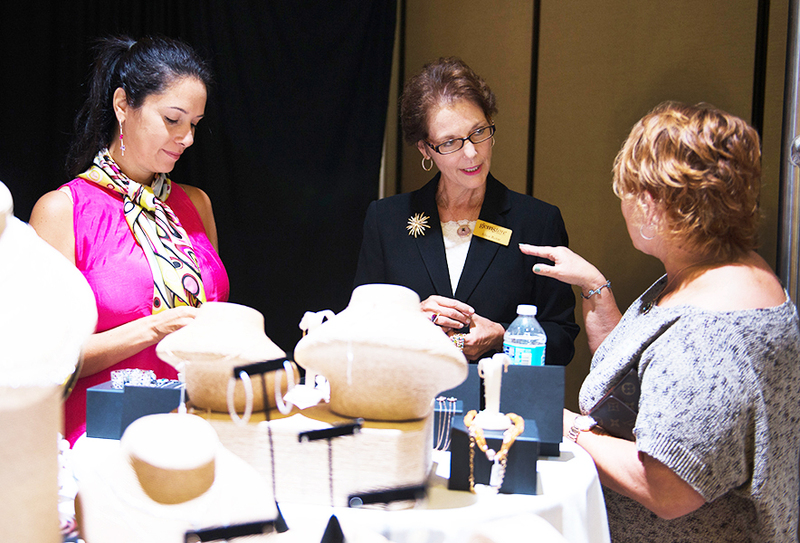 Additionally, we regularly visit the key jewelry shows in Las Vegas and Atlanta. 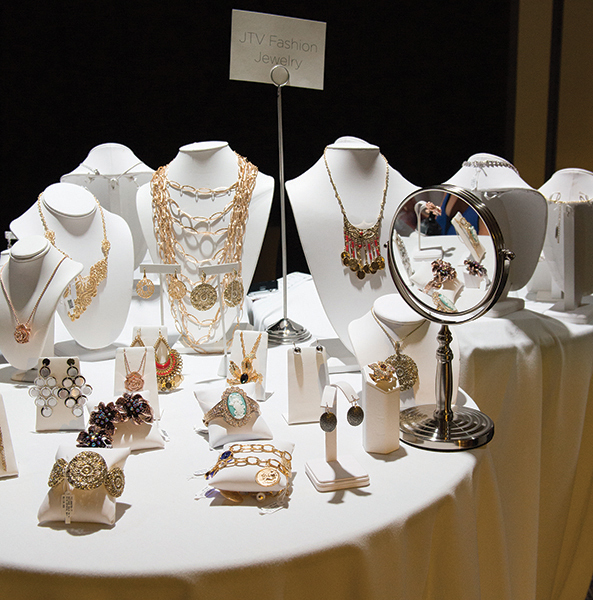 Plus, we work closely with our fine jewelry vendors at their offices in New York and elsewhere. We are always looking at and shopping the competition retailers, too. One of the advantages that the Gemstore has over other retailers is that much of our product is carried on the TV shows and has a national audience. When people from the area see these pieces, they come into the store to try them on firsthand. And, because of the exposure on television and the popular JTV website, we can carefully track and monitor what is selling. Q: What is the Gemstore’s mission statement? AR: We make jewelry and gemstones accessible to everyone. Live Life Colorfully, we like to say. Every time customers walk into the store, we want to show them the many different colors, cuts and styles that are available. We want the customers to feel as if they have just discovered the most fantastic and incredible treasure chest of glorious gems and jewelry. The team is always ready to showcase unique jewelry and gemstones at the best prices, whether for everyday wear or special occasions. Plus, when a customer finds something on the JTV website, but we don’t have it in the store at that moment, we can usually get it within 24 hours. This means that we have the ability to offer each customer easy and fast access to the largest and best-priced selection of jewelry in town. Q: Speaking of selection, how do you keep such a wide product range at affordable price points? AR: The lion’s share of everything we sell in the Gemstore embraces the JTV brands, which are available on air and through the website. Because of the incredible buying power of Jewelry Television, we can offer all of these beautiful treasures at exceptional prices. In addition to all of our JTV brands, we carry several capsule Designer Collections, which are not shown on air or through the website. As far as determining types of products to carry, we constantly track the Five Star Customer Reviews on the JTV website. Obviously, we want to offer what the customers are raving about, which, in turn, allows us to bring in the types of product that they will buy. Because so many of our customers are huge JTV fans and regularly watch the shows, they will come in and say, “show me Bella Luce, Precious World of Pearls, Charles Winston, Remy Rotenier, Moissanite, and Off Park,” for example. We can thus immediately serve that particular customer with those specific pieces. Q: Who is the typical Gemstore customer? AR: Actually, we have a broad customer base that is made up mostly of women and men aged 40 to 65 years of age. Having said that, however, we also have much younger customers. Most of these women are self-purchasers, and do not necessarily rely on a husband or boyfriend. As for our men’s business, we are seeing real growth in gents’ rings, specifically from JTV, along with beautifully crafted wedding rings. We can offer men a variety of choices concerning metals, gems, and band styles. During key holiday shopping periods, the Gemstore expands its offering of masculine jewelry. Q: Are there specific things you do to attract the customer into the store? AR: We always want to give the customer a special reason to come into the store. So, we are always in touch with them about new items, special promotions, special events, cocktail parties, designer trunk shows, and social media. 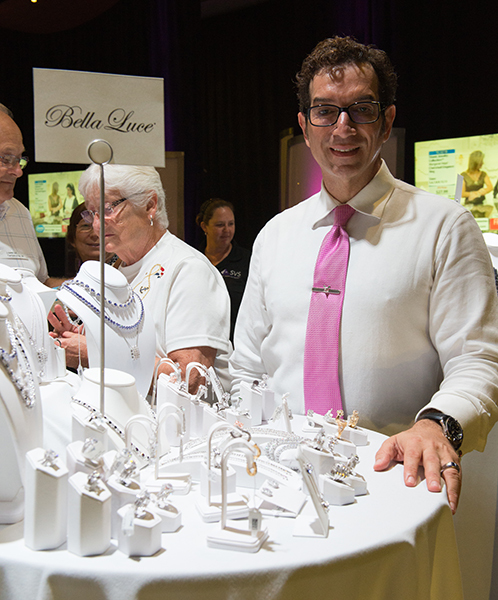 For example, just prior to the recent JTV Jewel School and Gem Lovers Conference, everyone in the store reached out to fifty of their clients, via a personal phone call or a hand-written card. 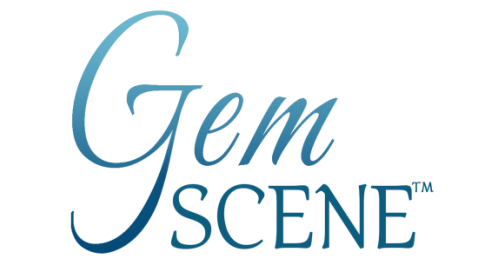 The turnout was amazing, not only because so many of our loyal clients stopped by the JTV/Gemstore Shopping Experience at the Embassy Suites Hotel, but also because we had a huge number of participants of the Jewel School and Gem Lovers Conference in town who came to the store. We are as attentive to what happens after the sale as before, so we inform our customers about our state-of-the-art jewelry repair shop, staffed with full-time bench jewelers, who offer jewelry cleaning, sizing, and repair options. Q: How do you cater to the higher-end client? AR: Our upscale shoppers are an important part of our business and we always go out of our way to make sure that we have special pieces for them. For example, because JTV carries high-end items within The President’s Collection (on air and via the website), we are able to offer these extraordinary pieces to our customers. These items might include a beautiful tanzanite ring, priced from $1,000 to $24,000. We also carry items exclusive to the Gemstore from major brands, which range in price from $800 to $22,000. Q: What about community involvement? AR: We plan on continuing to grow within our community, expanding and building good relationships with our customers, many of whom have become friends. We also want to give back to the community. I see more involvement in terms of charitable giving, especially growing out of our events supporting cancer research, namely Beads of Courage, East Tennessee Children’s Hospital, and American Heart Association, among others. Knoxville is our home, too, and we look forward to not only providing jobs but also continuing to be meaningful members of our community. Alice Rotar, manager of the Gemstore, center, talks with two customers. 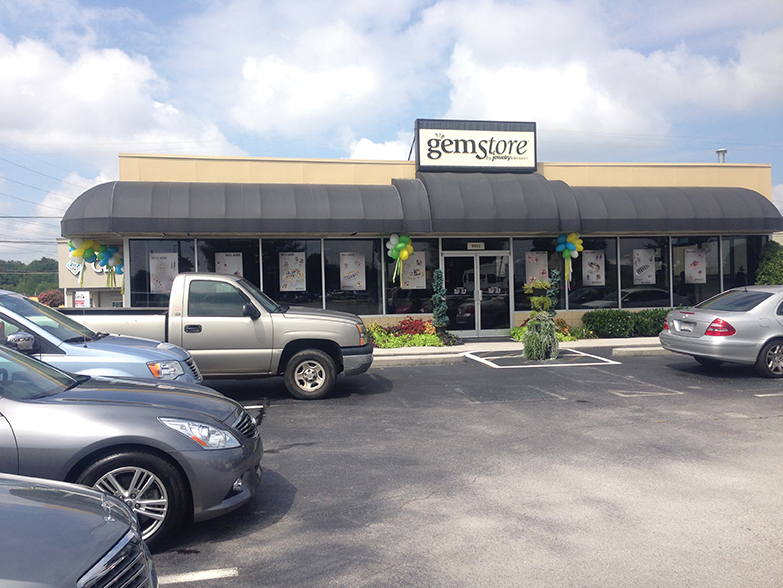 The Gemstore, located in Knoxville, Tennessee, is Jewelry Television's only stand-alone retail store. A selection of Fashion Jewelry offered by JTV at the Gemstore during a special event. Gemstones carried by the Gemstore include tanzanite, morganite, spessartite, tsavorite, labradorite, Madeira citrine, emerald, ruby and diamonds. Among the Gemstore’s customer events was the JTV-Gemstore Shopping Experience held in the ballroom of a hotel during a Gem Lovers Conference. One of the designers at the event was Remy Rotenier, who works with JTV’s Bella Luce collection. 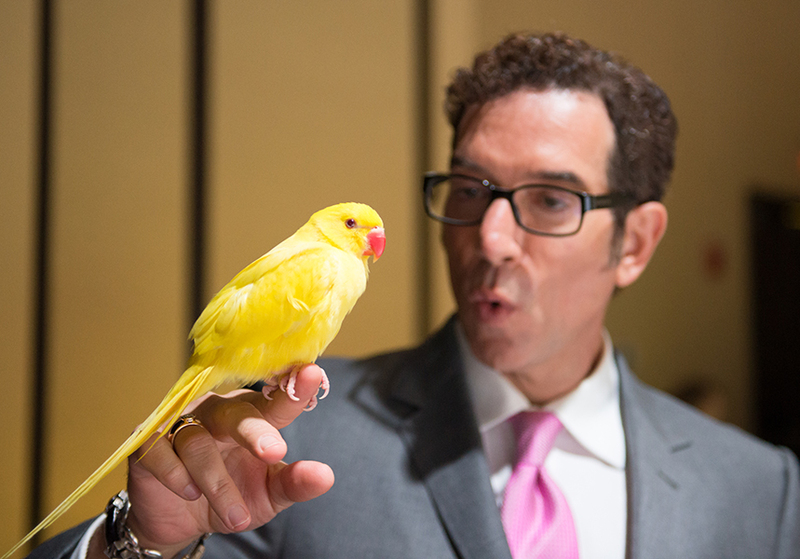 Remy Rotenier and a fine-feathered friend during a Gemstore special jewelry sales event. The Gemstore gives back to the community in several ways, including providing support to Beads of Courage, East Tennessee Children’s Hospital and the American Heart Association.